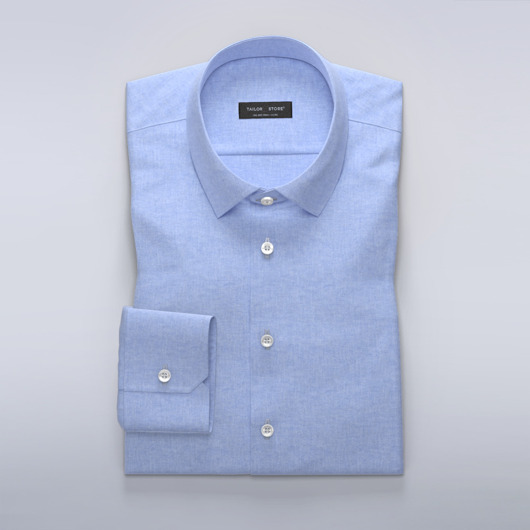 Soft orange dress shirt in an airy linen blend of 70% cotton and 30% linen. Wear this casual slim-fit shirt with jeans and rolled up sleeves. Order our suggested design or customize it to your preference. Made to your measurements.